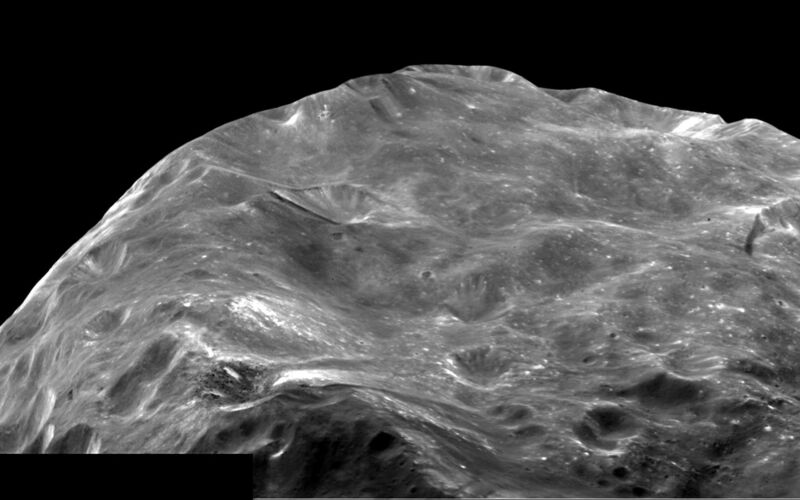 A mosaic of two images of Saturn's moon Phoebe taken shortly after Cassini's flyby on June 11, 2004, gives a close-up view of a region near its South Pole. 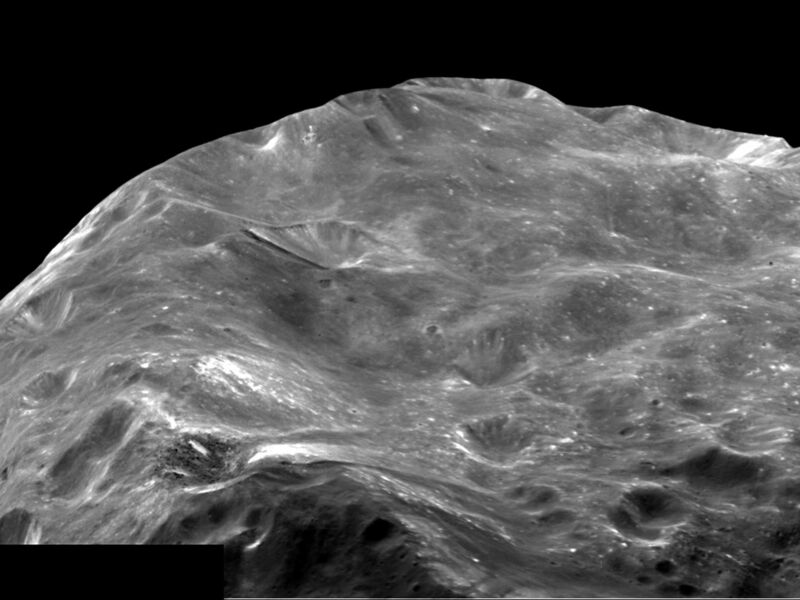 The view, taken about 13,000 kilometers (8,000 miles) from Phoebe, is about 120 kilometers (74 miles) across and shows a region battered by craters. Brighter material, likely to be ice, is exposed by small craters and streams down the slopes of large craters. 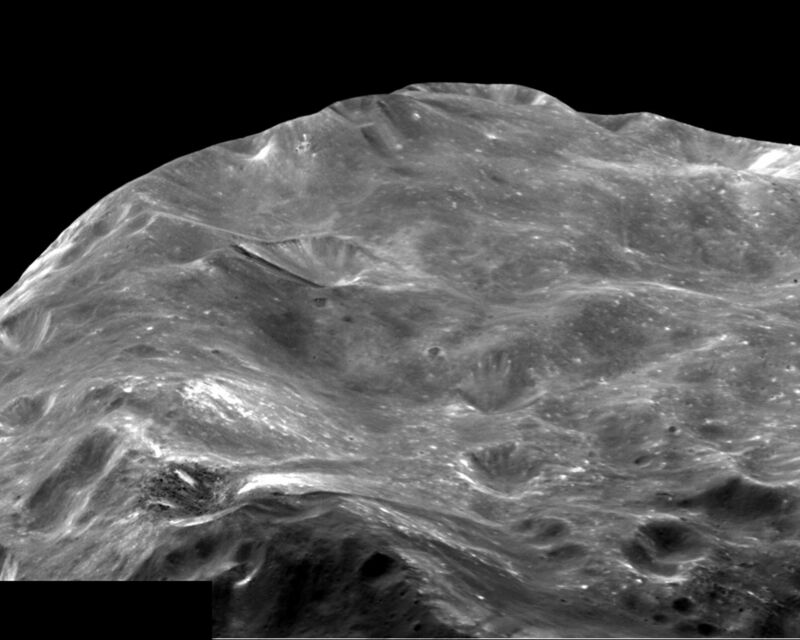 The skyline is a combination of Phoebe's shape and the formation of impact craters. Walls of some of the larger craters are more than 4 kilometers (2.5 miles) high. The image scale is 80 meters (264 feet) per pixel.